The Bartholomew the Adventurer Trilogy is a story of spiritual transformation wrapped in a romping tale of adventure set in the far distant future after humans have vanished from the planet. The protagonist is a rather silly and self centered rabbit named Bartholomew who sets out in search of a missing object which he is unable to describe or name. 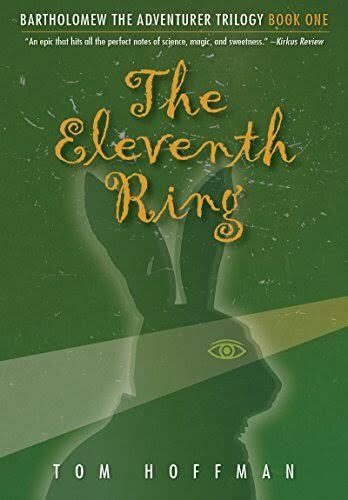 Along the way he meets his adventuring companion, Oliver T. Rabbit, a brilliant scientist who also undergoes a deep transformation in the trilogy, coming to understand that there is no magic, only science, whether it's time travel, parallel dimensions, manifesting physical objects with thoughts, or reincarnation. Their adventures take them to lost cities, parallel universes and other planets, along the way meeting a host of memorable characters including ancient robotic rabbits, the Tree of Eyes, the Singing Monks of Nirriim, the Blue Spectre, Edmund the Explorer, etc. By the end of the third book Bartholomew Rabbit has transformed into a fully awakened and enlightened being.